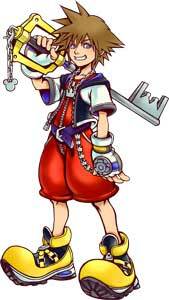 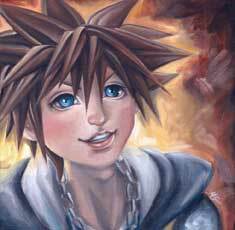 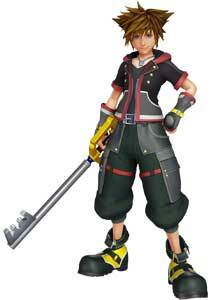 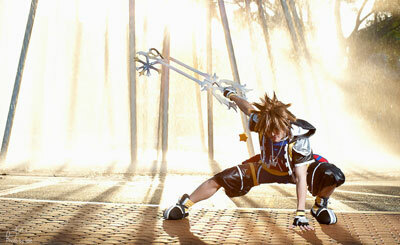 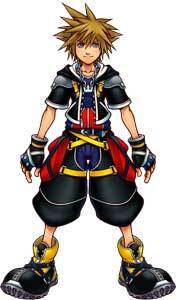 Sora is the main protagonist in almost all the Kingdom Hearts games by Square-Enix. 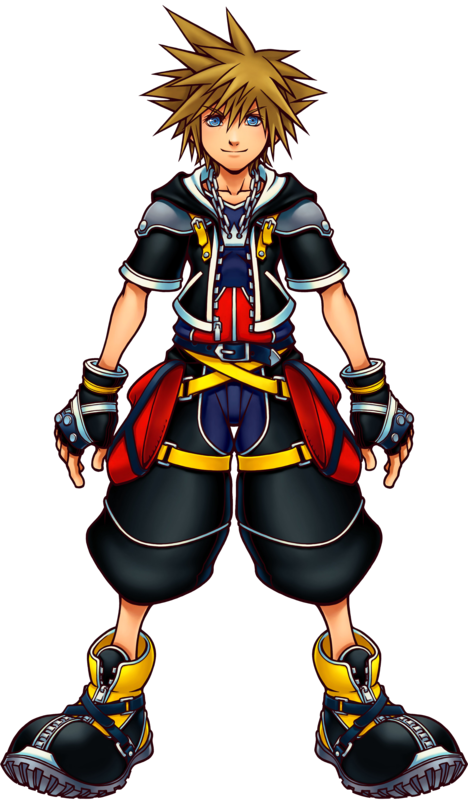 He debuted as the first playable character in Kingdom Hearts (2002), and returned in all sequels but is not playable in all of them. 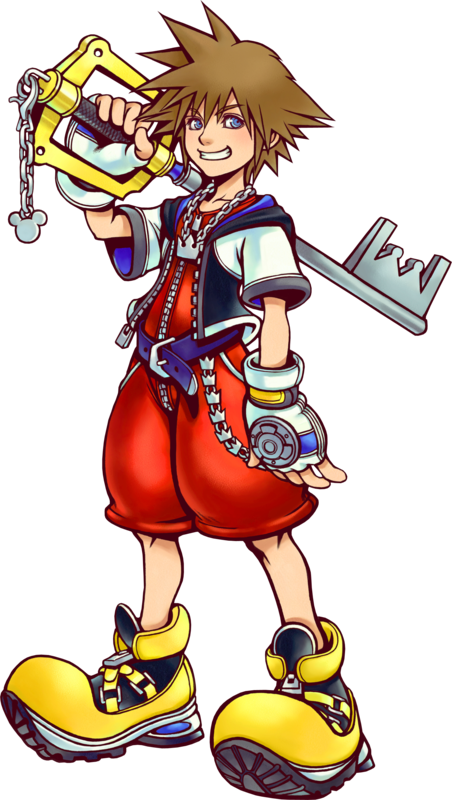 Sora is a kind-hearted boy who strives for an adventure after living for so long in Destiny Islands with his closest friends, Kairi and Riku. 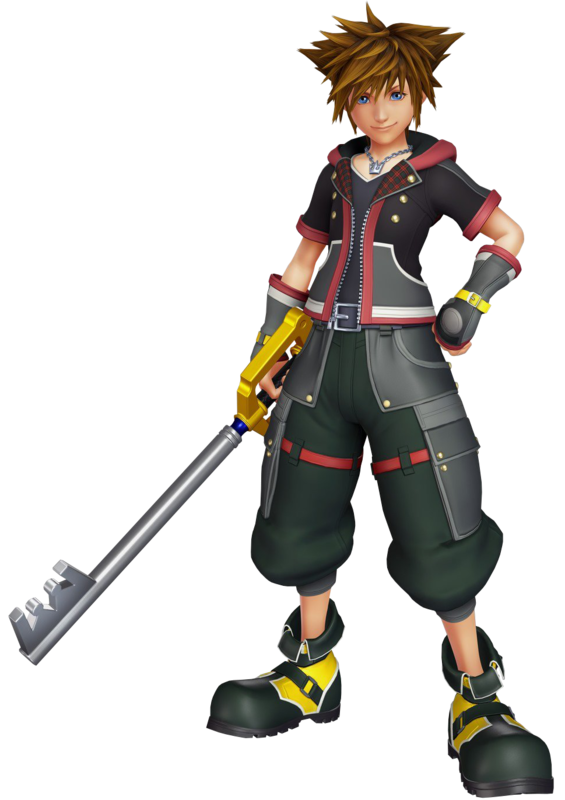 After a tragedy has been caused by the Darkness which seperated all of them, Sora went on his way to save his friends by exploring many worlds in search for answers. 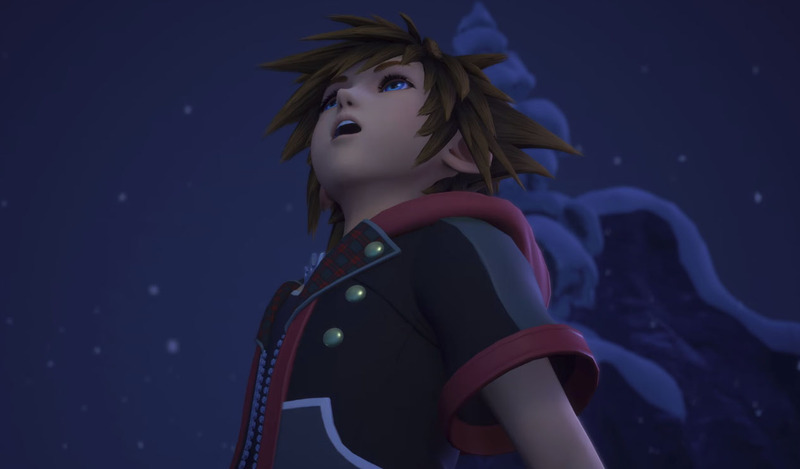 After all the ordeals and unfortunate events that befall upon him, Sora is the kind of person to never give up and do his best to save what’s in danger as much as he could.